Outmoded coupon marketing schemes that require payment for impressions, clicks, and prints are giving way to the all-new pay-per-redemption model that ties every fee to a real sale, says printable grocery coupon site CommonKindness. How many clicks does it take to sell a box of Cheerios? What percentage of Kraft Macaroni & Cheese coupons actually make it to a grocery store cash register after being printed from a website? The answer to these frustrating questions, which impact a company’s marketing budget and return on investment, are now completely irrelevant thanks to new pay-per-sale, performance-based online coupon campaigns, says CommonKindness.com, the second-largest printable grocery coupon website. “The pay-per-redemption and no setup or loading fee model, like the one we use at CommonKindness, makes each redeemed coupon a single, low, fixed cost of the sale of a product,” says Gregg Cevallos, director of sales at CommonKindness. CommonKindness only charges 25 cents per redemption. Compared to the overall cost of competitors’ programs that charge 12 cents per print plus setup and loading fees, CommonKindness online coupon programs are a fraction of the cost. For each coupon redeemed, CommonKindness gives 20% of the distribution fee it receives to the shopper’s designated nonprofit group. 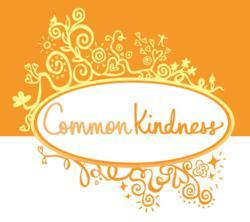 To learn more, go to CommonKindness.com or call (415) 887-9537. This entry was posted in coupons, marketing and tagged adwords, coupon marketing, coupon programs, couponing, coupons.com, internet marketing, online coupons, online marketing, pay-per-click, pay-per-sale, printable grocery couopons by CommonKindness. Bookmark the permalink.